Don Nelson still stands as the winningest coach in NBA history, owner of a league-record 1,335 wins over the course of a 33-year career on the sideline that landed him a well-deserved spot in the Naismith Memorial Basketball Hall of Fame. Eight years after his final NBA game, Nellie — an offensive innovator whose willingness to experiment with point forwards, stretch big men, super-small-ball lineups and relentless pace-pushing helped expand notions of what could be possible in the NBA, laying the groundwork for revelations like the Seven Seconds or Less Phoenix Suns, the late-model “beautiful game” San Antonio Spurs and Steve Kerr’s present-day juggernaut Golden State Warriors — appears to be perfectly at peace away from the game, but still quite fond of tinkering, experimenting and racking up Ws … albeit in a very different setting. Alex Williams of the New York Times recently caught up with Nelson in Maui, Hawaii, where the Hall of Famer has lived for years. The resultant story runs some of the same trails that similar “where are they now” features on Nelson have blazed over the last half-dozen years — that Nelson, now 77, dabbles in real estate on the island and lives what sounds like a fairly idyllic life on the beach in paradise, an existence that notably features Maui’s “most exclusive poker game with Willie Nelson, Woody Harrelson and Owen Wilson.” There are a couple of new wrinkles, though. For one thing, Nellie’s got a beard now. (More a Popovich than a D’Antoni on this score, I guess.) For another, one of his rental properties is run by his daughter Lee, who he offhandedly mentions is “an interesting story” because he “had that daughter out of wedlock [and] knew nothing about her for 29 years” until she wrote him a letter while he was coaching the Dallas Mavericks. And you’ve got an agrarian venture over here in Maui, too? I’ve got a farm, yeah, I do. We grow some pot and flowers and coffee, and I’ve got a fish farm up there. Like I say: an innovator and experimenter, no matter where you put him. 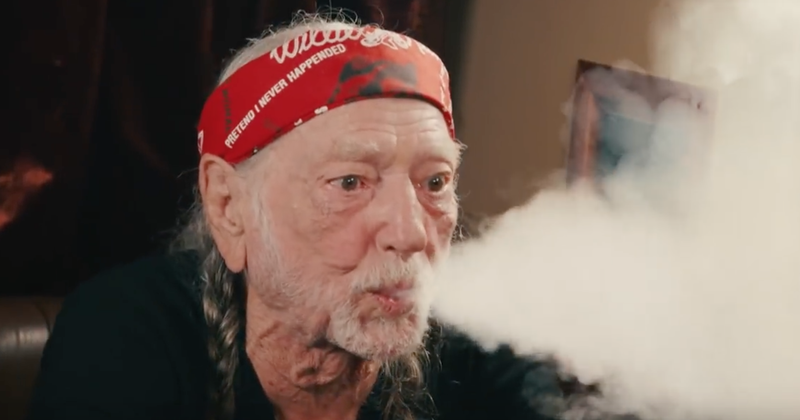 I didn’t think I’d ever be a pot smoker, but hanging out with Willie and Woody and guys like that, you know, everybody smokes in those games. It just became kind of natural. Usually you’re smoking with your friends, sitting around, telling stories, you smoke a bowl. It’s not that I smoke all the time. I usually just smoke at night during poker games. You’d imagine someone with his own strain of kush and some awfully deep-pocketed prospective clients coming over to play cards every night might be well positioned to become one of many former athletes to make inroads in the burgeoning marijuana business. Not Nellie, though: he says he’s growing for personal use only, and would never start selling his supply. After all, it sounds like he’s having too much fun with his almost hilariously perfect life, so why sully your post-basketball pleasure by turning it into just another hustle? Especially, one would suspect, when it’s got your friggin’ name on it.